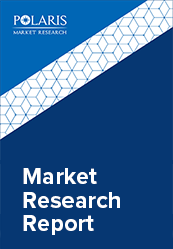 The global blood testing market was estimated at USD 52,316.1 million in 2017 and is anticipated to grow at a CAGR of 2.6% during the forecast period. A blood test is a medical process of analyzing blood samples in a laboratory, which are taken from the veins in the patient’s arm using a needle or a finger prick. Blood tests help in determining biochemical and physiological state of patients, analyzing the efficacy of pharmaceutical drugs, determining organs functioning, diagnosing diseases, evaluating mineral content, and detecting drug abuse. The global market is driven by factors such as surge in blood donations and organ offerings, rise in awareness about the safety of donated blood, increase in ageing population, growth in the demand for donated blood, and rise in prevalence of infectious diseases such as bacterial and viral diseases, and other disorders such as HIV, cancer, thyroid, and genetic disorders. Moreover, increasing inclination of physicians toward blood-based diagnosis to ensure reliable and rapid results and burgeoning number of point-of-care (POC) testing centers have led to the spiraling growth of the market. However, increase in the costs of testing and lack of skilled labor could hamper the market growth to a certain extent. Further, increase in awareness among patients about self-testing products & home diagnostic tests in developing countries, and research & development for developing new testing technologies is expected to offer significant opportunities for market growth in near future. The global blood testing market is segmented on the basis of type of tests, product type, end-users and geography. Based on the type of tests, the market is categorized into glucose testing, lipid profile, liver function tests, prostate specific antigen, hormones, blood urea nitrogen, high-sensitivity C-reactive protein, thyroid stimulating hormone, serum nicotine/cotinine and others. Depending on the product type, the market is divided into Instruments, Software and Services and Reagents & Testing Kits; and based on end-users the market is segmented into laboratory, hospitals, POC testing and blood banks. The report analyzes the global market across North America, Germany, Asia-Pacific, Latin America, and Middle East & Africa (MEA). North America is further segmented into U.S., Canada. Europe is divided into Germany, UK, Russia and Rest of Europe. Asia-Pacific is bifurcated into India, China, Japan and Rest of Asia-Pacific. Latin America is categorized into Brazil and Mexico. Middle East & Africa comprise of South Africa, and Rest of Middle East & Africa. The key players in the market are launching new products and gaining regulatory approval to maintain a competitive edge. For instance, in November 2017, ITL Biomedical launched Transfer Cap Set, which is the latest blood culture testing product which ensures the safe and effective transfer of culture samples from a bacterial collection bottle to a vacuum tube. Additionally, In September 2017, Abbott’s FreeStyle Libre Flash Glucose Monitoring System has cleared the US FDA approval which uses under-the-skin sensor wire to measure the blood glucose levels, thereby eliminating the need of finger pricking. Moreover, In January 2017, Abbott has received the CE Mark for its Alinity System used for plasma and blood screening. The other key players operating in the industry include Abbott Laboratories, Alere, Inc., Becton Dickinson and Company, Bio-Rad Laboratories, Beckman Coulter, bioMérieux SA, Biomerica Inc., Bruker Corporation, Cepheid, Nanosphere, Inc., Nipro Diagnostics, Roche Diagnostics, Siemens AG, Thermo Fisher Scientific, Inc., and Trinity Biotech PLC. Market players have adopted various strategies such as such as merger & acquisitions, novel product development, venture capital investments among others to expand their foothold and increase their customer base. Geographically, North America accounted the largest share in the global blood testing market in 2017.